Carpet burns happen! It is very typical and something that is easily repaired. The burn just needs to be cut out and a perfect fitting patch installed. 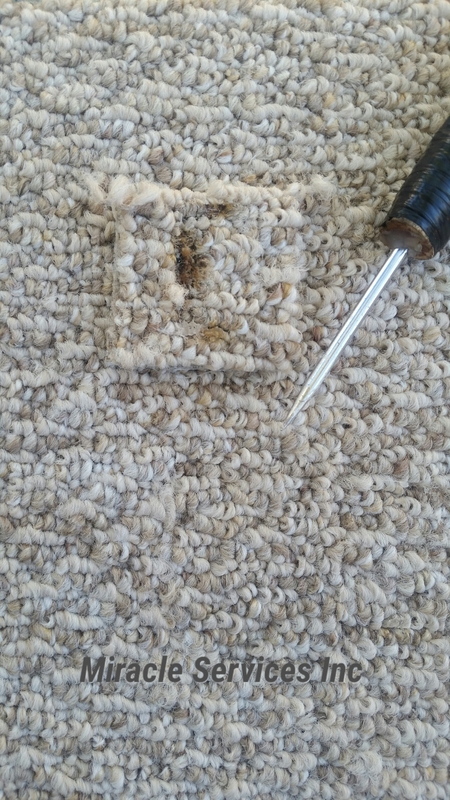 Miracle Services is carpet burn repair San Diego since 1994. They are veteran owned and operated San Diego Organic Carpet Cleaning service that still provides carpet repair of all types. There was a time when professional carpet cleaners provided carpet care but today they seem to have forgotten how to repair carpets. It used to be iron burns were common but today they are uncommon and the most common burns now are from hooka pipes. This particular bedroom above had 25 such burns but Miracle Services patched them all. Some carpet burns are friction burns from a cheap vacuum. Certain carpets that have a low friction rate like Olefin. The brush roller still spinning left in one place too long will do a friction burn. Luckily these are small and easy to repair. 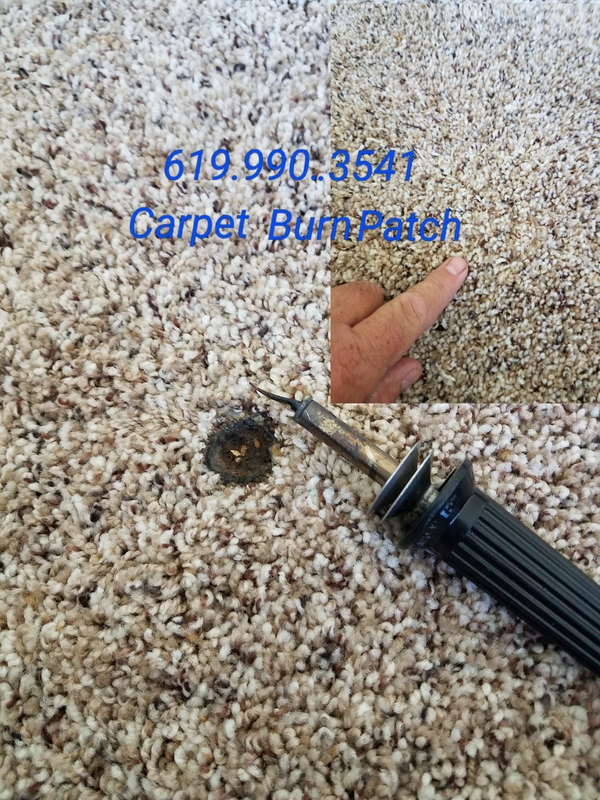 Give Miracle Services a call for your carpet burns in San Diego, its bests to get your carpets cleaned and repaired at the same time, it’s cheaper and you get to get that repair strength tested. From pet damage to carpet stretching we would like to help. We even provide bleach damage repair for carpet color loss. 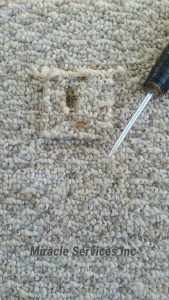 If you have pet urine contamination we can also help by inspecting and providing urine carpet contamination restoration. We look forward to your call.